Early in 2016 I visited the ‘Lot’ department in France famed for its rivers, valleys, forests and amongst other French delights it Karst landscape. 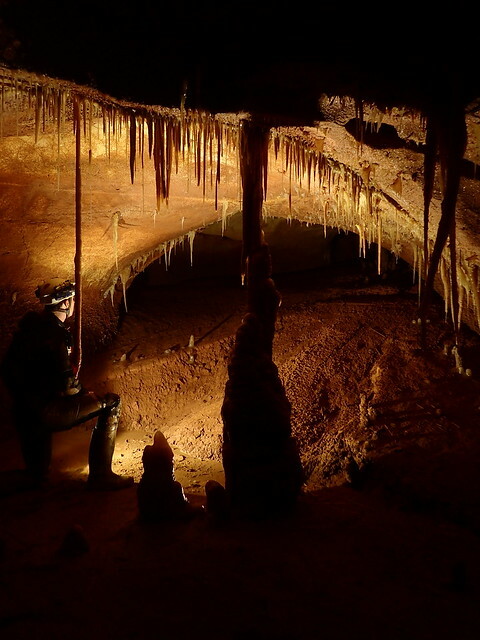 The region is littered with caves and is a well known destination for cavers & divers worldwide. It is somewhere I have known about for many years first reading about other peoples adventures in the pages of diving magazines when I was about thirteen but somehow hadn’t visited until many years later for no apparent reason. This trip begins by a small French road near the village of Cabrerets, the entrance is invisible to most and only issues water after rain. For this trip owing to the shallow nature of the sumps a 5mm wetsuit and small 3l cylinders were decided upon, the waters here being a balmy 13ºC degrees all year compared to the usual 6 to 10ºC found in the UK depending on location. As always before visiting a new cave my nerves steadily increased as the moment before I immersed myself into the new environment loomed up, fully kitted up I had no choice now but to continue into the cave though thoughts changed fleeting to being nicely tucked up indoors somewhere perhaps reading a book instead but for today the lure of the cave was strong enough to banish those alternative ideas this time. I crawl into the square stone entrance which keeps the road above from falling in and quickly found a narrow rift and the water, owing to the time of year (January) there was a small flow from the cave. Inserting myself into the water and making my final equipment checks I bid the outside world goodbye for a few hours. Passing through the first ‘siphon’ it is difficult not to disturb the mud lining the bottom and walls leaving clouds in my wake. 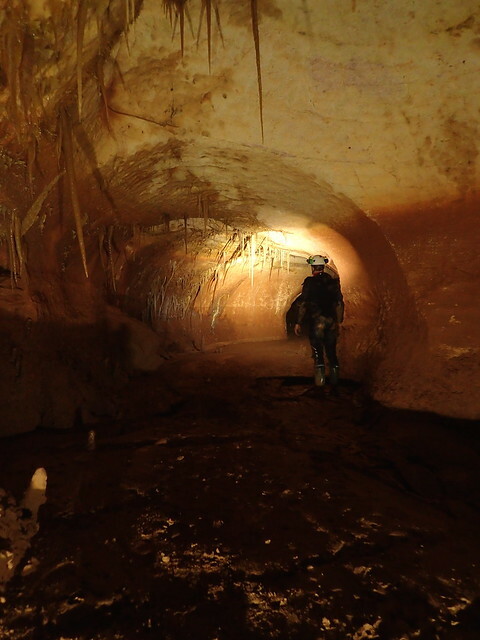 This sump is around 150m long and initially less than 4m deep the route meandering gently. After some minutes swimming I notice the tell tale sign of an airbell ahead, these interfaces between the air and the water always fascinate me, the colours and reflections of light can be magnificent. I follow the line to this surface and to my surprise I find the line ends rather abruptly with no way on out of the water. Taking a moment to look around I deduce that the line is broken and my route continues underwater, I attach my spare reel and begin to descend a pot in clear waters, I see a little arch leading off and the continuation of the line at around 12m depth. Settling here I join my line to the continuing line ensuring I have something to follow on my exit in the now muddied waters. The cave continues for a short while at 12m before ascending to the end of sump one properly, a modest round clean washed chamber. Here I must leave the water and carry my equipment down a small section of passage with well defined scalloped walls to the next sump pool where the transition is reversed again. Slipping into the water once more and becoming weightless the effort of the carry between the sumps is soon forgotten, ‘siphon two’ is much shorter at around 50m in length and only reaching a maximum of 6m depth. After a few minutes swimming I ascend a muddy bank to another air surface with a small inlet passage leading off to my left and the dive line immediately descending to my right heading further into the system. Removing my fins I struggle up the very muddy inlet, (think mud up to your knees) I eventually find a sensible place to de kit and leave the diving equipment behind. Now only clad in a 5mm wetsuit, wellies, pads, light and helmet I have now reached the dry passages which I have come to explore. This section of the cave is named ‘Le jardin D’ Eden’ and is a high level fossil series. It is reached after two 8m climbs equipped with handlines of various ages. A few small side passages lead off but I am immediately drawn to the main passage seen to be meandering away into the distance. It is of square phreatic nature (round but slightly squared off), about 3m x 3m with a mud floor and the gradient ever so gently rising. The vivid colours of the rock range from purple to a mud stained brown indicating a previous level of mud fill perhaps some time in the past. I start to follow basking in the glorious view afforded by the form of the passage alone. After a short amount of time a junction is reached and the passage splits into two nearly identical smaller tunnels leading off. Further along magnificent formations are found barring the way like teeth, stalactites nearly touching the floor hanging from 3m above. By now I am in a state of awe, this section of cave is the most impressive I have seen, this is only amplified by the fact I have dived here and come alone. After some time the passage is decreasing in size and the inevitably the roof closes towards the floor, further progress would be possible but I decide I have had enough for today and begin to reverse my route outwards, stopping to gaze at the most impressive of the formations I decide I need to buy a camera to photograph this section of cave to share with other people. Thoughts of ‘Eden’ occupy me for the coming months and I kept to my decision to buy a camera with which I have begun taking pictures underground. Fast forward to October 2016 and I arrive again at the small road near the village of Cabreret, I inform my partner I will be out within 3 hours, she is to walk up the hill side and visit the famous ‘Grotte du Peche-Merle’ in my absence which is perched directly over the end of the cave I am once again visiting. This time I am equipped with my camera, tripod and some lights, I quickly make progress the route now known to me, the impact of this piece of cave is as dramatic as the first time I viewed it only this time I am able to capture it. Working with the self timer on my camera and arranging my lights I set about taking some images to share with those who might not get to see what drives me to undertake such trips, the ultimate purpose of cave diving. 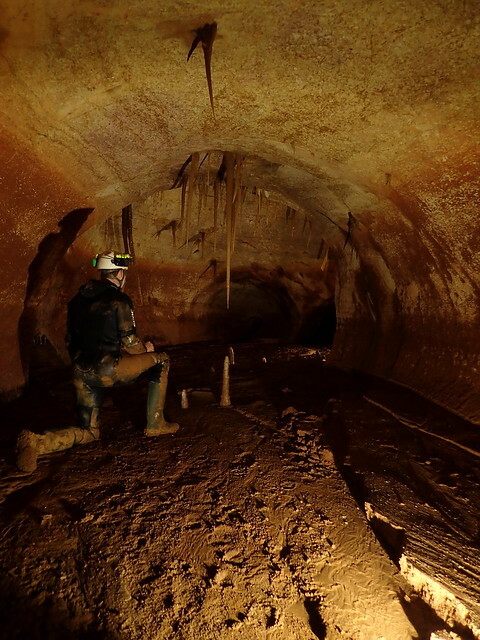 I enjoyed reading that - I've done loads of cave diving in that area but never been to that site. Well done for getting some images. Nice report and nice pictures!